This story originally appeared on the Big Ten Network’s website, btn.com. Lake Michigan contains approximately six quadrillion gallons of water. Monitoring the weather and lake conditions isn’t just a big job, it’s a potentially dangerous one for humans. Luckily, we have buoys for that. Specifically, number 45170 located off the coast of Michigan City, Indiana and 45174, located in the waters off Wilmette, Illinois. The two markers are run by the Illinois-Indiana Sea Grant College Program and staffed by researchers and specialists from Purdue University and the University of Illinois. Not content to merely send real-time data about wind speed, lake temperatures and wave height to the National Oceanic and Atmospheric Administration to help fishermen and beachgoers alike determine the best day to hit the water, the two buoys also run their own Twitter account, @TwoYellowBuoys, where they send out information about the lake and photos. Armed with a buoy-to-English dictionary, BTN.com’s LiveBIG staff talked with the two buoys about conservation issues, their Big Ten loyalties and how they spend the off-season. BTN LiveBIG: You spent the entire summer out on the lake. That sounds like a dream job. Michigan City: Some days are definitely better than others, but if you don’t mind occasional rain and high winds it’s great. Wilmette: And luckily we don’t get seasick! BTN LiveBIG: What are you out there to do? Michigan City: We’re weather buoys, so we’re covered in sensors that measure things like wind speed, wave height, and water temperature. We take readings all the time but what gets logged is either the average or the maximum of a given variable over the past 10 minutes. Michigan City: Yeah, yeah, for those of us who have webcams, those images or videos are usually sent out once per hour. BTN LiveBIG: So you don’t both have webcams? Wilmette: Nope. I have one but Michigan City doesn’t. Michigan City: But I have a chain of temperature sensors that runs from the surface to the bottom of the lake. Which is also pretty darn cool. Anglers love me because I help them determine when and where to fish different species, like salmon or perch. BTN LiveBIG: How do people get access to your data? Michigan City: Our data are transmitted to the main Illinois-Indiana Sea Grant website, NOAA’s National Data Buoy Center, GreatLakesBuoys.org, and the Great Lakes Observing System Data Portal. Other websites sometimes pick up a couple of variables here and there, and you can always email our handlers to get copies of old data. BTN LiveBIG: Are you out on the lake all year? What happens in the winter? Wilmette: Oh no. We’re tough, but not that tough. Michigan City: In October or November, we get pulled in for the winter. People have to clean us off (quagga mussels REALLY like us), take care of our sensors and make repairs, sometimes make upgrades, whatever’s needed. It’s a nice vacation. BTN LiveBIG: What was the most extreme weather pattern you’ve seen this year? Wilmette: I’ve seen some crazy storms, but there was one on July 23 that hit me really hard. The day started [calm] like this. But by early evening winds and waves were building. Looking back, you can see the ride I took during the storm, and how much harder we were hit than our buds on the eastern side of the lake. BTN LiveBIG: What’s the most important conservation issue facing the Great Lakes? Michigan City: That depends on who you ask and where you are. A lot of people are worried about aquatic invasive species and habitat loss, mainly because they cause big changes in the system. Michigan City: Yes, nutrients can exacerbate some issues, like the harmful algal blooms that happen in some parts of the Great Lakes. We actually have buddies over in Lake Erie who help monitor those. BTN LiveBIG: Do you ever wish you could take a selfie? Wilmette: First we’d need arms. We are pretty, though. Michigan City: But not as pretty as Lake Michigan. BTN LiveBIG: You’re a part of the Illinois-Indiana Sea Grant program. For those that don’t know, what is that group’s purpose? Michigan City: Well, Sea Grant is actually a network of 33 programs that extend from Alaska to Puerto Rico and Hawaii to Maine—even Guam! Illinois-Indiana Sea Grant focuses on using the latest science to help people in southern Lake Michigan and across the Great Lakes solve natural resource problems in sustainable ways. Wilmette: So we’re basically rock stars, because we’re bringing the data that drives the science. BTN LiveBIG: This is a joint effort with the University of Illinois and Purdue. How did that come about?  Michigan City: The partnership between the University of Illinois and Purdue University goes way back to the early 1980s. There’s a great story about it here. Wilmette: And while our main squeezes are at Purdue and the U of I, we’re also supported by awesome people at NOAA, LimnoTech, Inc., the National Weather Service, the Indiana Department of Natural Resources, the Great Lakes Observing System, and many local shop owners or users of our data. BTN LiveBIG: Wilmette Buoy, do you tend to root for U of I? Are you a loyal Purdue fan, Michigan City? Michigan City: I am a Boilermaker through and through. Wilmette: It’s hard for me. Both Purdue and the U of I have done me good turns, but Northwestern is so close. I guess I’m a fair weather fan. BTN LiveBIG: I see what you did there. What’s next for you? Do you think you’ll eventually work in an ocean or are you happy with the Great Lakes? Wilmette: We’re made especially for the Great Lakes, so we’ll probably never see work in the ocean. But there are good buoys doing good work all over the world. Thanks to Carolyn Foley, assistant research coordinator for the Illinois-Indiana Sea Grant, for speaking on behalf of her buoy colleagues. 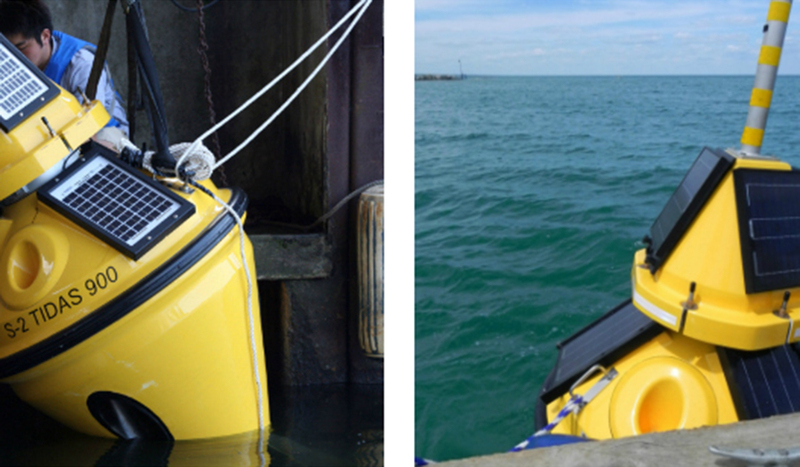 Remember, for updates and insights about life on Lake Michigan, follow @TwoYellowBuoys on Twitter.